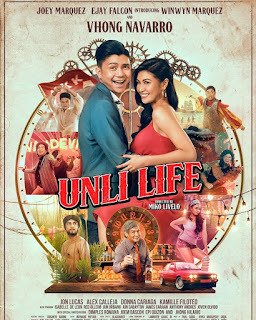 Star Cinema yet again produces a quality film about marriage, love, and infidelity. The “Unmarried Wife” is a romantic drama film directed by Maryo J. delos Reyes. It will be starred by Angelica Panganiban, Dingdong Dantes, and Paulo Avelino. It tags as the reunion movie project of Dindong Dantes and Angelica Panganiban. The two worked together on the 2012’s box-office film “One More Try” with Angel Locsin and Zanjoe Marudo. As for Paulo Avelino, it is his first time to work with both actors. With these three famous actors, I’m sure fans and viewers are excited for the movie. 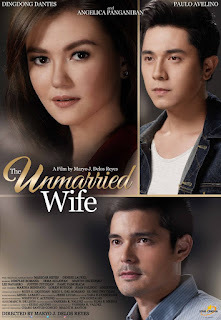 “Unmarried Wife” is about Anne (Angelica Panganiban) who struggles for her marriage because of his cheating husband Geoff (Dingdong Dantes). She struggles between forgiving him and moving on, torn between holding on and letting go. In the midst of her grief, Anne met Bryan (Paulo Avelino), a handsome lad that was first attracted to her and then eventually fell in love with her. The movie has a realistic storyline. During the media launch, the stars repeatedly said that even though the movie involves a married couple, the flows of events in the film is very relatable for couples not only married but couples that are in a relationship. The director added that the movie also involves marriage, family, annulment, and separation. Let’s see where these characters would take, on what they believe would be the right decision for themselves. The “Unmarried Wife” will be in theaters this November 16, 2016.